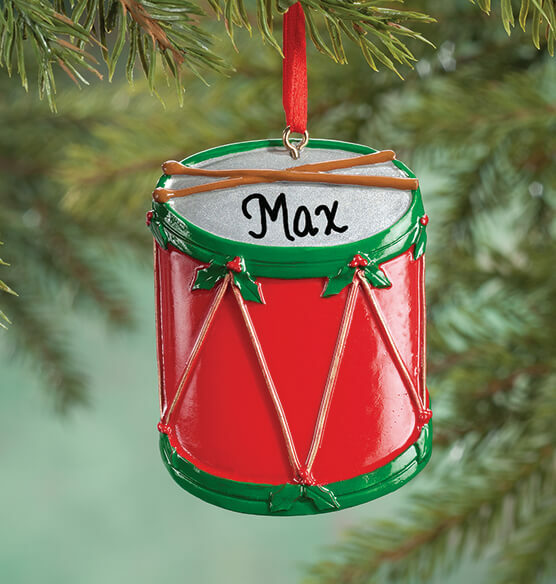 Made specially for one little drummer boy or girl, this personalized Christmas drum ornament is a Christmas classic (and noise-free parent favorite!). Wonderfully detailed in bright, merry colors with festive accents, our exclusive Christmas ornament becomes a custom keepsake when we add one special name. Specify name; limit 1 line, 8 letters/spaces. Resin. 3 1/2" x 2 1/4". this is an okay ornament. personalization was nicely done.